1. 2 Chronicles 31:1 — “Now when all this was finished, all Israel who were present went out to the cities of Judah and broke in pieces the pillars and cut down the Asherim and broke down the high places and the altars throughout all Judah and Benjamin, and in Ephraim and Manasseh, until they had destroyed them all.” Worship should lead you into a desire for purity and holiness before the Lord. 2. 2 Chronicles 31:2-4 — “And Hezekiah appointed the divisions of the priests and of the Levites, division by division, each according to his service…. The contribution of the king from his own possessions was for the burnt offerings… And he commanded the people who lived in Jerusalem to give the portion due to the priests and the Levites, that they might give themselves to the Law of the Lord.” God expects everyone within the church to play a specific role in worship and ministry under the direction of a church leader. Leaders must lead by example in every way. Hezekiah first gave from His own possessions before asking others to give. 3. 2 Chronicles 31:4 – “And he commanded the people who lived in Jerusalem to give the portion due to the priests and the Levites, that they might give themselves to the Law of the Lord.” The priests were fully supported so that they could completely dedicate themselves to the Law of the LORD. The church was supported by the tithe. 4. 2 Chronicles 31:10, 14-19 – Financial obedience ensures the church has needed resources for worship, ministry, evangelism, and fellowship and also enables church leaders to focus on leadership rather than fund raising. 5. 2 Chronicles 31:20 – “Thus Hezekiah did throughout all Judah, and he did what was good and right and faithful before the Lord his God.” Good leaders must be good managers and stewards. Not every manager is a good leader, but every good leader is a good manager. Leadership starts with self-leadership. You must be able to effectively manage your own time, money, and resources before you are ready to lead others and manage more. 6. 2 Chronicles 31:21 — “And every work that he undertook in the service of the house of God and in accordance with the law and the commandments, seeking his God, he did with all his heart, and prospered.” Faith in God and wholehearted dedication enables you to finish the work God appointed you to do. 7. 2 Chronicles 32:1-3 – “After these things and these acts of faithfulness, Sennacherib king of Assyria came and invaded Judah and encamped against the fortified cities, thinking to win them for himself. And when Hezekiah saw that Sennacherib had come and intended to fight against Jerusalem, he planned with his officers and his mighty men to stop the water of the springs that were outside the city; and they helped him.” Hezekiah’s faithfulness did not remove problems from his life, did not eliminate the need to plan, and did not remove the need to trust and obey God. In fact, in his faithfulness, problems only seemed to get far worse for Hezekiah. What do you do when your faithfulness doesn’t seem to be “working”? – Faith calls you to trust God’s ways rather than human ways. – The world is blinded by its own apparent successes. The world will point to its great achievements to lure you away from faith in God and make you trust substitutes for God. – The world wants you to believe that all religions are equal, equally powerless. The world’s attacks against Christianity will grow, teaching that our faith is an illusion. Only those who truly know Jesus (know Him personally, not just facts about Him) will survive such attacks. 9. 2 Chronicles 32:18 – “And they shouted it with a loud voice in the language of Judah to the people of Jerusalem who were on the wall, to frighten and terrify them, in order that they might take the city.” The mockers of Christianity speak the language of the people. They are often very knowledgeable of what is written in the Bible (though they don’t have Holy Spirit enlightenment) and can quote the Bible better than many true believers. They often seek to relate on a personal level in order to lure people away from Jesus. They are also usually very passionate about the lies they personally believe. They can be very persuasive to those who are not strongly united with Christ. 10. 2 Chronicles 32:20 – “Then Hezekiah the king and Isaiah the prophet, the son of Amoz, prayed because of this and cried to heaven.” Prayer is not our last resort; it is our primary weapon. 11. 2 Chronicles 32:21 — “And the Lord sent an angel, who cut off all the mighty warriors and commanders and officers in the camp of the king of Assyria.” God accomplishes His purposes in ways that the world can’t understand or perceive to be from God. 12. 2 Chronicles 32:22 — “So the Lord saved Hezekiah and the inhabitants of Jerusalem from the hand of Sennacherib king of Assyria and from the hand of all his enemies, and he provided for them on every side.” Either you will turn to the world for your provision and security or you will turn to God. You cannot turn to both. God provides through worldly means; for example, God feeds you through everyday farmers and markets, but never lose sight that it is God that is providing. 13. 2 Chronicles 32:25 — “But Hezekiah did not make return according to the benefit done to him, for his heart was proud. Therefore, wrath came upon him and Judah and Jerusalem.” You are always in danger of responding to God’s blessings with foolish pride, taking credit rather than giving credit to God and trusting in your own strength. God does not share the glory. Hezekiah was very successful in the LORD, until pride became his downfall. 14. 2 Chronicles 32:27 – “Hezekiah… made for himself treasuries for silver.” Pride turned into self-centeredness and materialism. 15. 2 Chronicles 32:31 – “God left him to himself, in order to test him and to know all that was in his heart.” Remember your days in school? During tests, the teacher was silent. How do you respond when your faith is tested and there appears to be no response from God? Remember in John 11 how when Lazarus was sick, Jesus stayed away two more days so that Mary and Martha would receive an even greater revelation of Him than they had seen previously (Jesus is the Resurrection and the Life)? Perhaps the silence you are feeling is God building your faith and preparing you for far greater things than you ever anticipated. God may also be revealing to you the limits of your own faith. In your doubt, what is God revealing to you about what you truly believe? In your doubt, draw nearer to God, not further away. 16. Proverbs 18:1 – “Whoever isolates himself seeks his own desire; he breaks out against all sound judgment.” It is a destructive sin to ‘go it alone.’ You were made to commune with both God and God’s people. Isolation is a symptom of selfishness, self-centeredness, and pride. God has made us specifically for relationships. 17. Proverbs 18:2 – “A fool takes no pleasure in understanding, but only in expressing his opinion.” What you think is true is irrelevant compared to what really is true. A wise person continually tests their perceptions and beliefs against God’s word and truth. Unbelievers judge God’s word from their perceptions. Believers judge their perceptions from God’s word. 18. Proverbs 18:3, 5-6, 8, 19, 21, 23 — Your words have great power to help or to hurt people. Jesus said that we will be held accountable for every careless word we speak. We are Christ’s’ Ambassadors. We should only speak His words. We do not have the right or authority to do anything else. 19. Proverbs 18:9 – “Whoever is slack in his work is a brother to him who destroys.” Unprofessionalism causes incredible grief to many. How many times have you suffered because someone didn’t do their job or didn’t do it well? God wants us to bring credit to His name by doing all things with excellence, striving to be as consistent, reliable, timely, and effective as He is. 20. Proverbs 18:10-11 – “The name of the Lord is a strong tower; the righteous man runs into it and is safe. A rich man’s wealth is his strong city, and like a high wall in his imagination.” Trust and reliance on human strength, or self-reliance, is deceptive idolatry. Again, God works through people, but idolatry sees mankind, or other substitutes for God, as the source of strength and places faith created things rather than the Creator. God will not tolerate things to distract people from Him. 21. Proverbs 18:14 – “A man’s spirit will endure sickness, but a crushed spirit who can bear?” Spiritual health and strength is infinitively more important than physical health and strength. 22. Proverbs 18 – Notice from Proverbs 18 the emphasis God places on how well we listen to Him and on what we say to others as His ambassadors. You cannot share with others what you don’t know. How important is diligent Bible study to Christians who have been commissioned by God to speak on His behalf as priests to the world? 23. 2 Thessalonians 1:3 — “We ought always to give thanks to God for you, brothers, as is right, because your faith is growing abundantly, and the love of every one of you for one another is increasing.” Love is the measure of genuine faith — when faith grows, love grows. How much we love others reveals how much we really love Jesus. When we genuinely love others, we want nothing more than to see them grow closer to Jesus, and when we see it, we are compelled to give thanks to God. – Faith and love grows with steadfastness and endurance through hardships. The process of discipleship and sanctification is hard and not for the halfhearted. 25. 2 Thessalonians 1:5-12 – The message of God which is proclaimed through His Ambassadors on earth (us) is that Christ will return and that there will be a Judgement. When was the last time you heard this preached with power? 26. 2 Thessalonians 1:6-8 — “…since indeed God considers it just to repay with affliction those who afflict you, and to grant relief to you who are afflicted as well as to us, when the Lord Jesus is revealed from heaven with his mighty angels in flaming fire, inflicting vengeance on those who do not know God and on those who do not obey the gospel of our Lord Jesus.” Not obeying the Gospel brings judgment. God will judge people based upon their true faith in Jesus, revealed in how they treated others and whether or not they believed enough to obey. Faith without works (obedience) is dead. 27. 2 Thessalonians 1:9-10 – “They will suffer the punishment of eternal destruction, away from the presence of the Lord and from the glory of his might, when he comes on that day to be glorified in his saints, and to be marveled at among all who have believed, because our testimony to you was believed.” Eternal life is unity with God through Jesus (John 17:3) Eternal damnation is separation from God. God will bring glory to Himself by responding to the faithful in a positive way and to the unfaithful in a negative way. End times brings glory to God. 28. 2 Thessalonians 1:10 — “…when he comes on that day to be glorified in his saints, and to be marveled at among all who have believed, because our testimony to you was believed.” Not everyone will marvel when Christ returns, only the believers. God uses the testimony of others to call believers. We testify to the truth, and the Holy Spirit convicts hearts with our testimony. 29. 2 Thessalonians 1:11 — “To this end we always pray for you, that our God may make you worthy of his calling and may fulfill every resolve for good and every work of faith by his power.” Not everyone demonstrates worthiness. Worthiness requires both the power of the Holy Spirit AND resolve, resulting in consistent works of faith. 30. 2 Thessalonians 1:12 – “…so that the name of our Lord Jesus may be glorified in you, and you in him, according to the grace of our God and the Lord Jesus Christ.” Is the name Jesus Christ glorified in you? Do those around you automatically associate your name and life with Jesus Christ? Does your life reflect the image of Jesus? 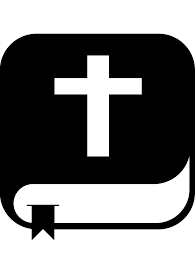 “Cross” Fit S-WOD (Spiritual Workout of the Day) – 18 July 18: Today, consider how you respond to God’s discipline and what God has taught you through his discipline. Recommit to living day-by-day in obedience, learning through positive instruction rather than negative discipline. When disciplined, give thanks, learn, grow, and move forward with joy having been guided by the firm hand of God to a better place in life.